Theodore Evergates provides the first systematic analysis of the aristocracy in the county of Champagne under the independent counts. He argues that three factors-the rise of the comital state, fiefholding, and the conjugal family-were critical to shaping a loose assortment of baronial and knightly families into an aristocracy with shared customs, institutions, and identity. Evergates mines the rich, varied, and in some respects unique collection of source materials from Champagne to provide a dynamic picture of a medieval aristocracy and its evolving symbiotic relationship with the counts. Count Henry the Liberal (1152-81) began the process of transforming a quasi-independent baronage accustomed to collegial governance into an elite of landholding families subordinate to the count and his officials. 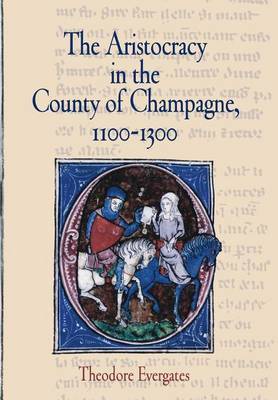 By the time Countess Jeanne married the future King Philip IV of France in 1284, the fiefholding families of Champagne had become a distinct provincial nobility. Throughout, it was the conjugal community, rather than primogeniture or patrilineage, that remained the core familial institution determining the customs regarding community property, dowry, dower, and partible inheritance. Those customs guaranteed that every lineage would survive, but frequently through a younger son or daughter. The life courses of women and men, influenced not only by social norms but also by individual choice and circumstance, were equally unpredictable. Evergates concludes that imposed models of "the aristocratic family" fail to capture the diversity of individual lives and lineages within one of the more vibrant principalities of medieval France.